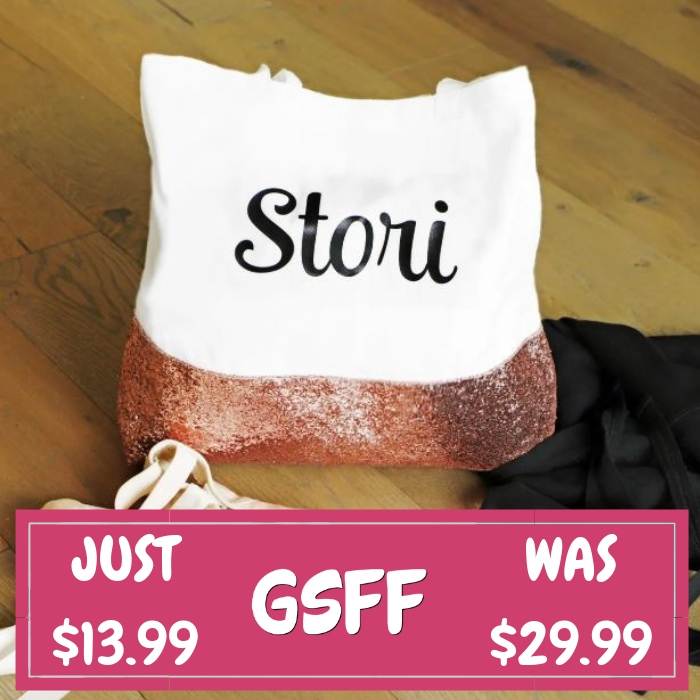 Personalized Glitter Tote Just $13.99! Down From $30! Shipped! You are here: Home / Great Deals / Personalized Glitter Tote Just $13.99! Down From $30! Shipped! Through February 15 only! Head over to Jane to score this Personalized Glitter Tote for just $13.99 down from $29.99 PLUS FREE shipping! Everyone needs a bit of glitter in their lives! This tote is made of canvas fabric and glitter sequins for a super fun look. Available in 5 color choices, customized with your name. Makes great gift all year long!